This month the first 5 Waterbuses of 10 in total are transported from China to Dubai’s Roads & Transport Authority. 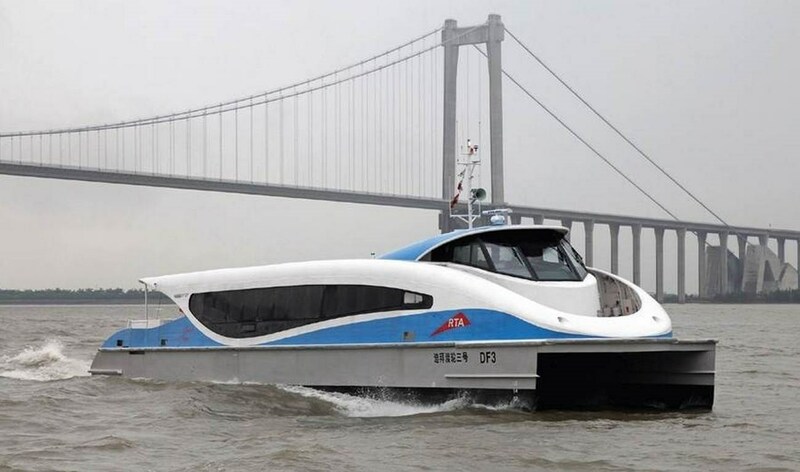 The Damen Fast Ferry 3207 is a modern speed catamaran of low wash design with a capacity of maximum 100 passengers. The superstructure has been designed to fulfil the requirements with regard to ‘state of the art ferry’ with a first class, unique and iconic design that fits in the architecture of the recently started Dubai Metro system.